If it were up to us, every merchant we board for credit card processing would have a high risk echeck processing solution as well. For the good folks here at Instabill, offering high risk merchant account processing often means pressing the outer reaches to find solutions for the highest of high risk merchants. Obviously, every e-commerce merchant wants the ability to process credit and debit card transactions – they are by far the most convenient ways to pay when shopping online. However, not every merchant qualifies for credit card processing for a myriad of reasons. Perhaps the merchant is considered too much of a risk by an acquiring bank or a payment service provider, maybe for his/her industry type, excessive chargebacks, volume or instances of fraud. Or, the merchant has imperfect credit history, and perhaps has even been placed on the MATCH or TMF list by Visa and MasterCard. We get inquiries from merchants that fit every one of those descriptions. Such a predicament has created a market for other payment solutions such as mobile wallets, ACH payments, and of course high risk echeck processing – from which every e-commerce merchant can benefit, not just high risk merchants. We’ve been in the high risk space since 2001 and it is an unpredictable ecosystem. We’ve seen acquiring banks stop offering credit card processing for certain industries – multilevel marketing, pharmaceuticals and tech support come to mind – leaving those merchants scrambling to find another acquirer to provide a solution. At the very least, having some type of echeck processing solution in place – even if a merchant can process credit card transactions – allows a high risk merchant a security net of sorts until they can find another credit/debit card solution. For merchants who struggle to get a merchant account approval, however, high risk echeck processing is a safe and practical alternative, which has come a long way in the last three years. Gone is the three-day window for a check to clear. Checks submitted in a weekday morning by 10:30 a.m. will settle by 1 p.m., while checks submitted by 2:45 p.m. will settle by 5 p.m.
Our high risk echeck processing provider offers a ‘PayNow’ button to be placed on the merchant’s checkout page, very similar to the checkout process when paying with a credit/debit card. Echeck processing is actually less expensive than credit card processing – there are no interchange fees. ECheck payments are secure and direct from consumer to merchant. We’ve been saying (and writing) that check solutions are an underrated and under-utilized form of payment for e-commerce merchants. Month-to-month contracts: merchants can upgrade or downgrade anytime as rates will be prorated. Fair and affordable setup fees contingent on selected high risk echeck processing plan. 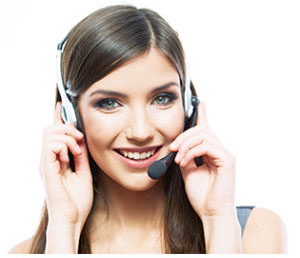 Additionally, our high risk merchants are always the beneficiary of our live telephone support: 1-800-530-2444. Speak with a live merchant account manager today to discover the possibilities.